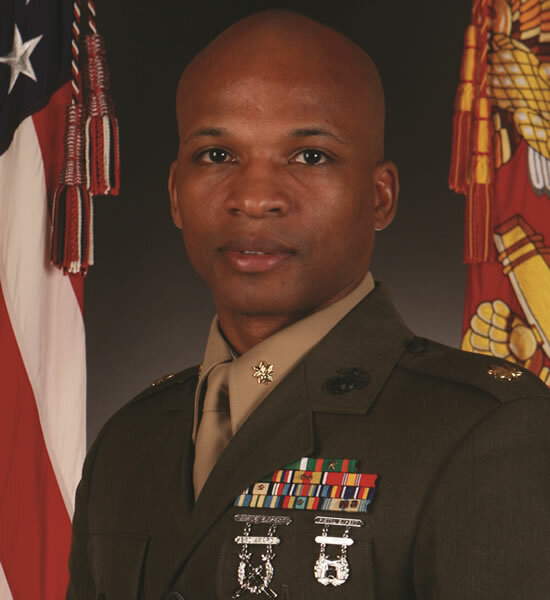 Major Tracey L. Holtshirley, United States Marine Corps, has distinguished himself through his outstanding support and development of minorities and women within the Navy and Marine Corps, and his service as a role model, leader, and mentor within the Navy and Marine Corps Judge Advocate community. Major Holtshirley’s volunteer work with the National Naval Officers Association, the National Black Law Students Association, the Federal Bar Association, and the Military and Government Lawyers Section of the Washington DC Bar Association demonstrates his commitment to promoting equal opportunity, professionalism, and career advancement for minorities and women in the Armed Forces and Federal civilian workforce. His active participation in recruiting events by the U.S. Navy Judge Advocate General’s Corps and Marine Corps Recruiting Command helped to attract top-notch Judge Advocate candidates, and promoted demographic and experiential diversity in the Navy and Marine Corps legal community. Major Holtshirley’s superior work performance and physical fitness serve as a shining example to junior officers that success in key naval leadership assignments is never limited by race, ethnicity or gender. His efforts have significantly contributed to the mission of the Naval service, and enhanced the proficiency of its members. Major Holtshirley’s selflessness, leadership, and devotion to and the professional success of members of all races, ethnicities, and genders, epitomize core values of the Armed Forces and are in keeping with the highest traditions of the Marine Corps and the United States Naval Service.